It is a good idea to photograph each pysanky that you make. 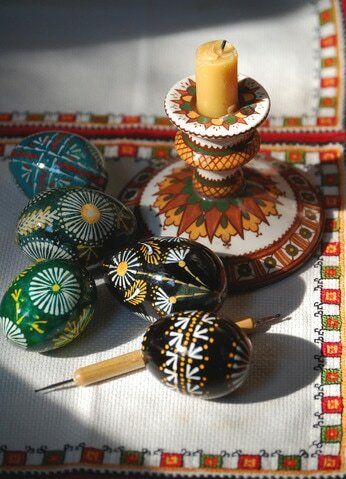 I photograph pysanky indoors using a studio light box, with artificial light. 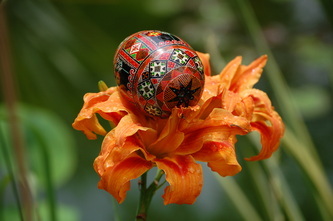 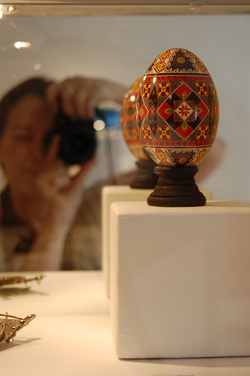 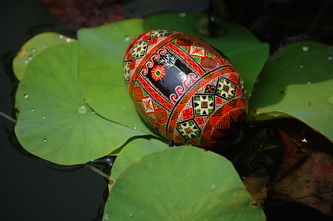 In many of the photos that I shoot, I rest the pysanky on an embroidered cloth. 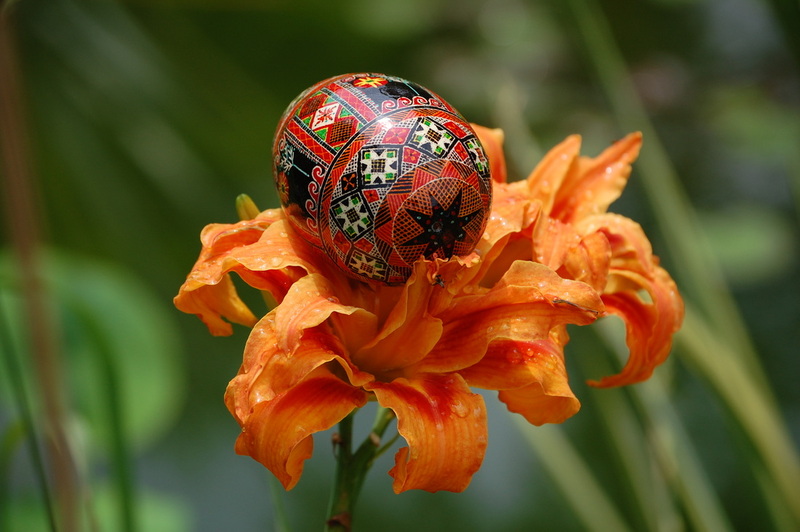 Embroidery is an ancient and symbolic tradition in Ukraine. 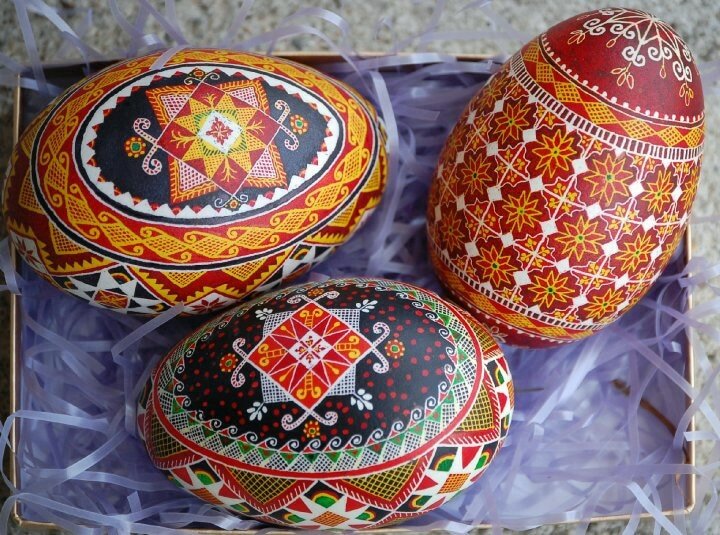 Folk embroidery is symbolic and connected with a great number of beliefs, myths, and superstitions, including beliefs regarding protection and fertility. 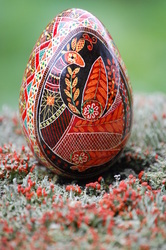 rice in a dish or bowl, make for a strong contrast against which to photograph elaborate pysanka. 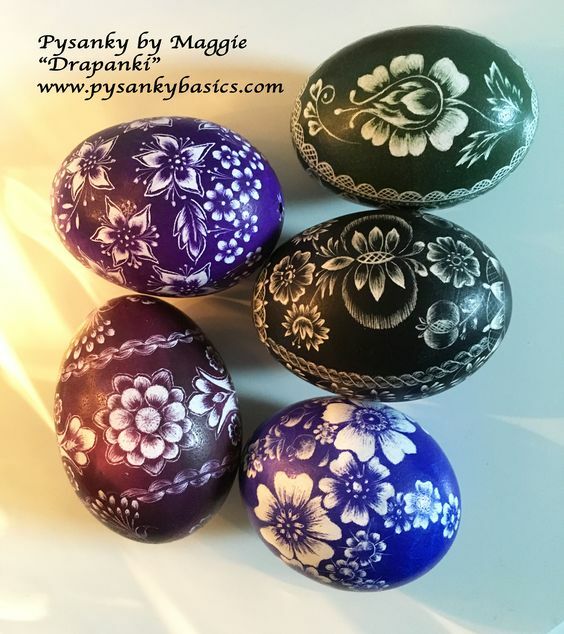 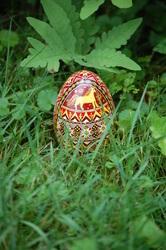 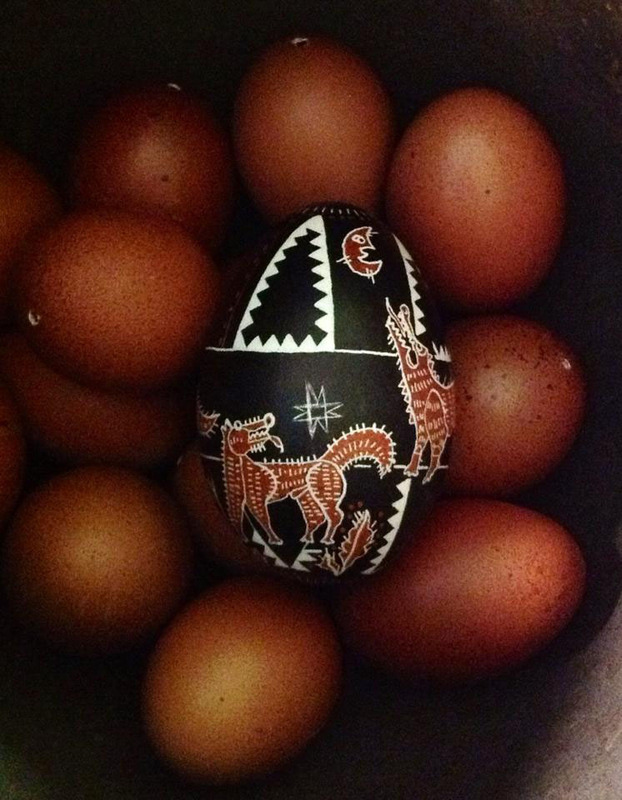 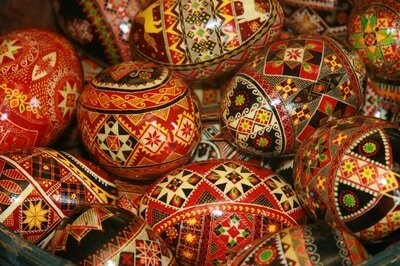 Another good idea is to shoot a picture of your pysanky collection in a basket, or on a cloth. 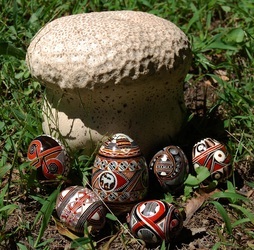 Some pysankars turn their collection picture into an annual poster or holiday card. 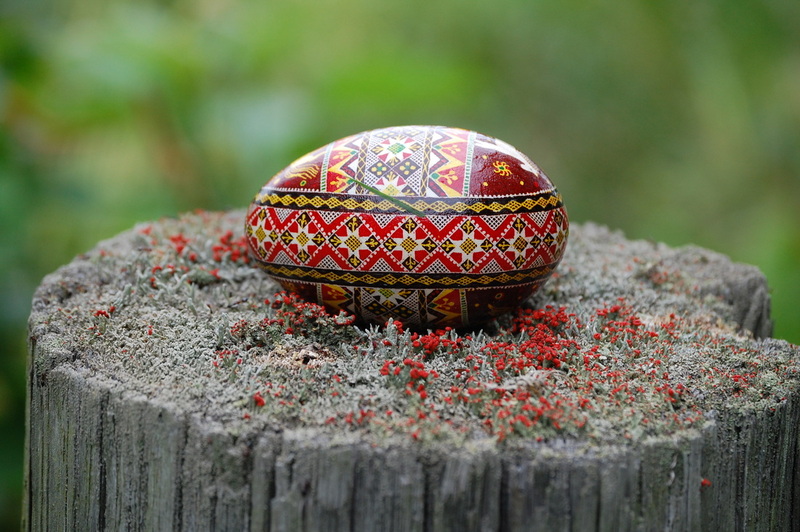 I prefer using natural lighting and shoot photos of my pysanky in the snow in the winter, and on mosses and lichens, pine needles and with any natural landscape settings during the rest of year. 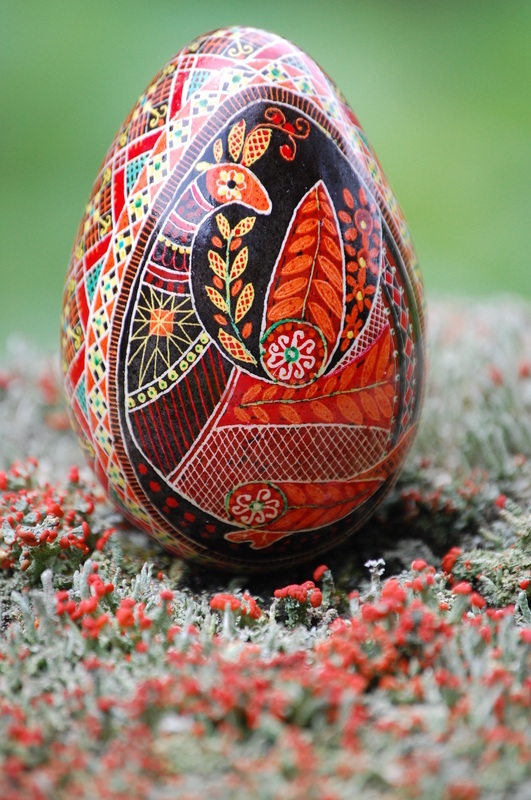 Notice the hen pysanky photographed on Cladonia deformis, a lichen with red tips on the cups. 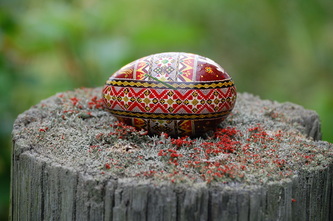 I found the lichen growing on an old tree stump by the pond. An orange day lily, pond lily pads, and even a mushroom are good backgrounds to photograph the pysanky against. 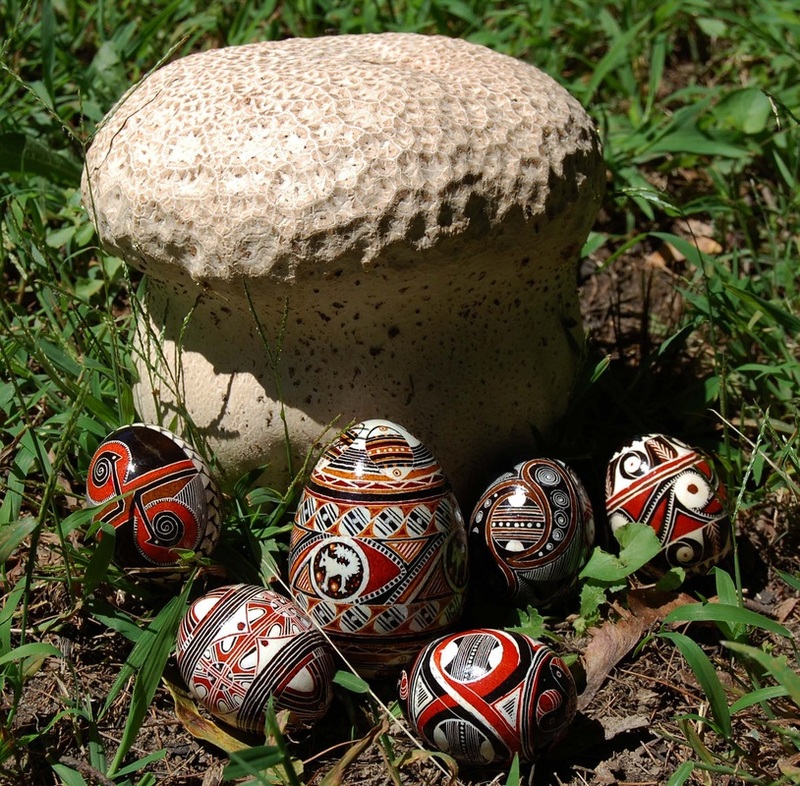 Notice the giant puffball used as a background for my Trypillian pysanky. 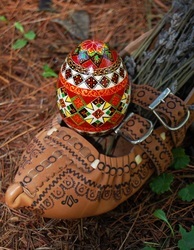 Add your description or title to your photo, as well as a date if the design yours and original. 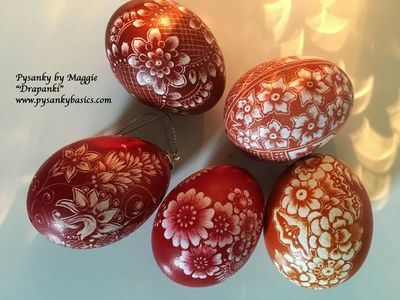 You can also add your website address and pinterest link or any social media information, so that viewers can follow your works(see the example in the last two photo posted here).